Anouar Brahem - Discography [12 Albums] (1991-2009) (LOSSLESS & MP3) | Free eBooks Download - EBOOKEE! Posted on 2014-05-29, by interestinglike. 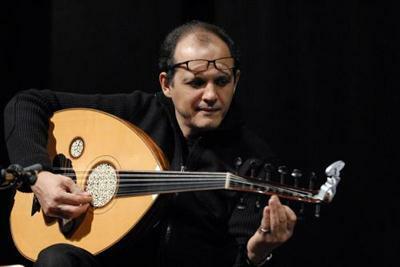 Anouar Brahem (in Arabic Ø£Ù†ÙˆØ± Ø§Ø¨Ø±Ø§Ù‡Ù…) (born on October 20, 1957) is a Tunisian oud player and composer. He is widely acclaimed as an innovator in his field. Performing primarily for a jazz audience, he fuses Arab classical music, folk music and jazz and has been recording since at least 1991, after becoming prominent in his own country in the late 1980s. Brahem was born in Halfaouine in the Medina of Tunis, Tunisia. He studied oud at Tunisia's National Conservatory of Music. In 1981, he left for Paris in search of new vistas. This enabled him to meet musicians from a variety of genres. He remained there as a composer for four years, notably for Tunisian cinema and theatre. He collaborated with Maurice BÃ©jart for his ballet Thalassa Mare Nostrum and with Gabriel Yared as lutist for Costa Gavras' film Hanna K.. In playing style, Anouar Brahem is often compared to Rabih Abou-Khalil, though his compositions tend to be more mellow and spare. Most often he utilizes an ensemble of three or four musicians. He has collaborated throughout his career and on several albums with other musicians: Tunisian percussionist Lassad Hosni and violinist Bechir Selmi and Turkish clarinetist Barbaros ErkÃ¶se. He has also performed live concerts with these same ensembles. No comments for "Anouar Brahem - Discography [12 Albums] (1991-2009) (LOSSLESS & MP3)".